Over recent weeks, I have showcased some cards using the Floating Reinker Technique. Today, I have a video to demonstrate how to create this stunning effect. Here is the card that I have made using the flowers from the video. Here are the supplies, measurements and some basic instructions. Check out the video for full details on the technique. Die cut the DSP using the fourth largest of the Rectangle Stitched Framelits. Keep the inside rectangle for another project. Emboss the Very Vanilla piece using the Lace Dynamic TIEF. 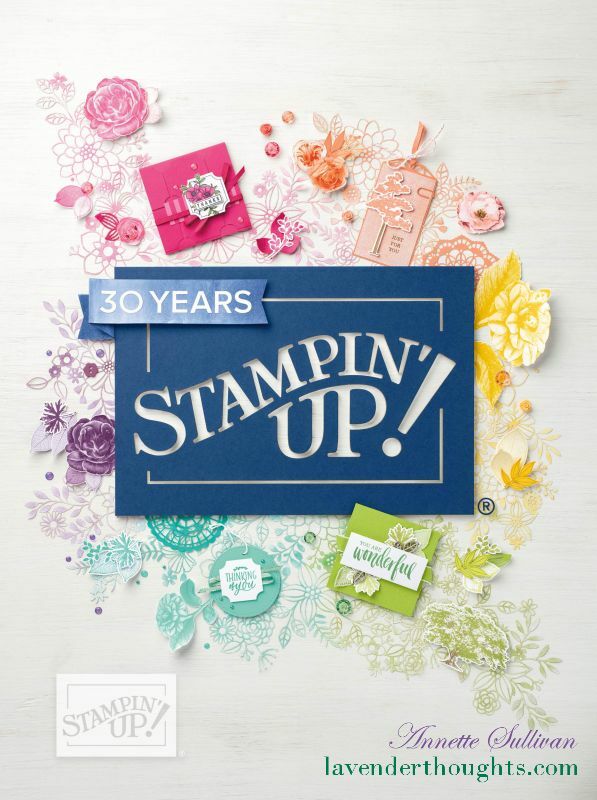 Stamp the floral images on the Watercolor Paper using Versamark and heat emboss with Black Embossing Powder. Use an Aqua Painter or wet paint brush to saturate an area of the embossed flower with water. Add a drop of Flirty Flamingo ink with the Aqua Painter or paint brush and let it spread. If necessary, add more drops, one at a time to spread over the area. Repeat this procedure with all parts of the image, using Old Olive ink for the leaves and Daffodil Delight ink for the flower centres. Repeat the procedure using Merry Merlot ink for the flowers and Old Olive ink for the leaves. Allow to air dry. Using a heat tool will quicken the process, but make sure the water pools are almost dry first or you will end up spreading the ink all over the art panel. Die cut the flowers using the matching Framelits. On the inside of the DSP frame, add Foam Adhesive Strips to both inner and outer edges. Attach the frame to the card front with the outer edge Foam Adhesive Strips. Arrange the die cut flowers around the frame and attach with Mini Glue Dots. Use a strip of DSP and one of the die cut flowers to decorate the inside of the card. Stamp one of the flowers on the envelope and watercolour with Aqua Painter and inks. You can see other projects that I have made with this technique here.